Last Wednesday, a Turkish policeman made the headlines due to events on a street in the Diyarbakir region, eastern Turkey. In a likely peaceful scene, it would seem improbable that Mehmet Uyar’s conduct as a police officer would be required, and sat in front of a teahouse, he probably didn’t suspect anything. 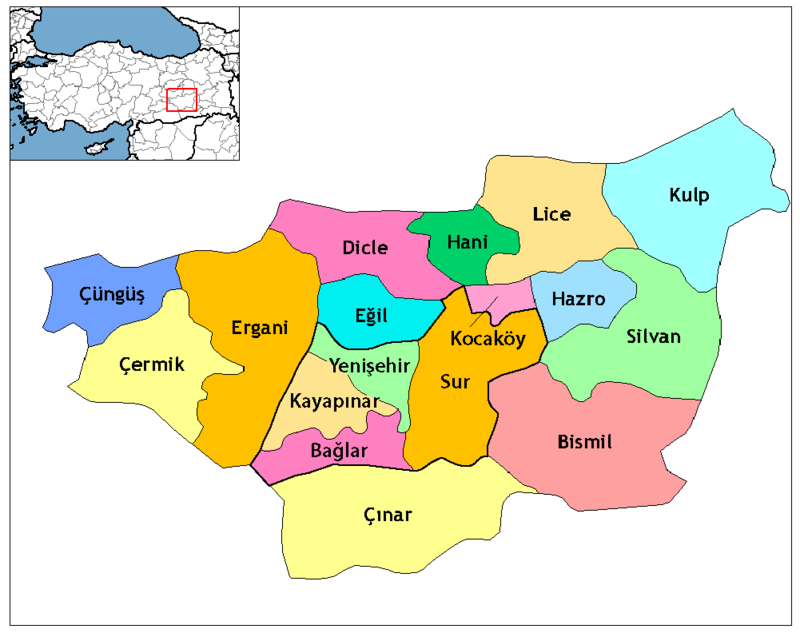 It was then, however, that a man shot at him from a car, wounding Uyar and another innocent civilian (according to the news agencies Dogan and Anatolia). Both were rushed to hospital, yet it was clear nothing could be done, and they soon died of their wounds. It is reported that another individual was also wounded in the shooting, though not fatally. This particular attack was blamed on the Kurdistan Worker’s Party, a Kurdish militant movement of the radical left, and (provided the allegations are correct) serves as another reminder of the Kurdish struggle in the region. As alluded to by the movement’s reference to Kurdistan, such a struggle is oriented largely around the long-term goal of founding an independent country where Kurds may live free of oppression,* this being the topic I’ll focus on today; the purpose of this entry is to look at the subject through a Marxist viewpoint. Oppression against the Kurdish population is obviously a pressing issue, and I am wholly supportive of their liberation from tyranny, alongside their courageous fight against Islamic State. It is just the idea of a Kurdish nation that I’m inclined to oppose, for Kurdistan would be a state founded upon the presence prominent ethnicity; not only would this lead to discrimination (just look at Israel, a country founded as the homeland of the Jews, in which discrimination against the local Arabs is not only present, but often aggressive and violent) but it would distort the idea of genuine equality among racial groups, for the notion of Kurdistan proposes the ‘shutting off’ of the oppressed through the drawing of national boundaries. This would inevitably compromise any effort to achieve harmony between ethnic or racial groups, which, as an internationalist, I am strongly opposed to. On the topic of communism, I also have no doubt in saying that the former (or rather, the former’s revolutionary implementation) would also be delayed by Kurdistan’s existence, as whilst the emancipation of the Kurds is one thing, the emancipation of the proletariat is quite another. Thus, the ethnic struggle would only serve as a distraction to the real plight of the Kurdish underclasses. A great example of a Marxist approach to these issues is that of Karl Marx’s views on the tensions in nineteenth century Ireland; whilst Marx did feel that the country would be better off without British rule, he believed that the national struggle in the soon-to-be rebublic would only prolong the communist revolution in Britain. I say this not just for the purposes of discussion, but also to other leftists who may sympathise with the national struggle. The Kurdistan Worker’s Party, for example, would undoubtedly consider themselves a left-orientated organisation, yet are leading the fight for an independent racial country. I thus warn any socialists to beware of this trap – it may seem like a harmonious solution, but the founding of new states and the breaking up of ethnicities can only be a temporary one. In the long run, true equality will only be persponed.